[via inhabitat] Ever fallen asleep alongside a good glass of French wine? How about inside a cask of good French wine? 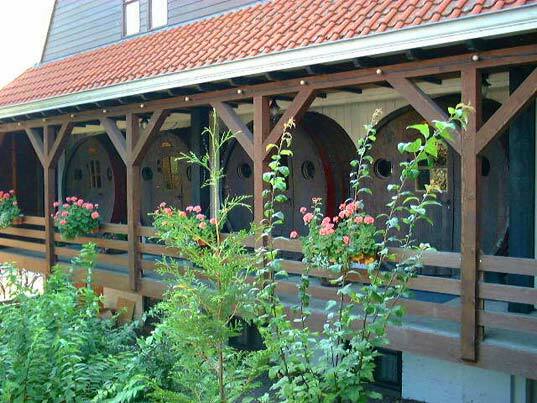 The De Vrouwe van Stavoren Hotel in the Netherlands salvaged four wine casks from Switzerland and converted them into rooms. Formerly filled with 14,500 liters of Beaujolais wine from the French chateau, each now holds a modest two-person room with standard amenities and even an attached bathroom and sitting room. 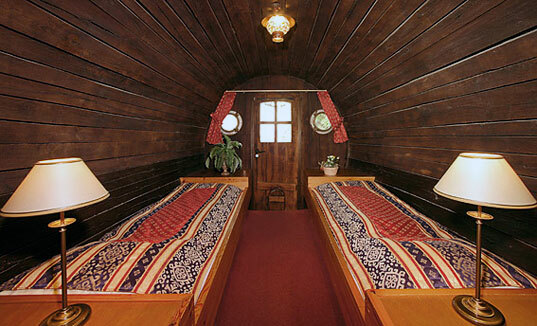 Visitors from all around the world have traveled to the quaint northern port town of Stavoren to stay in one of these upcycled rooms. 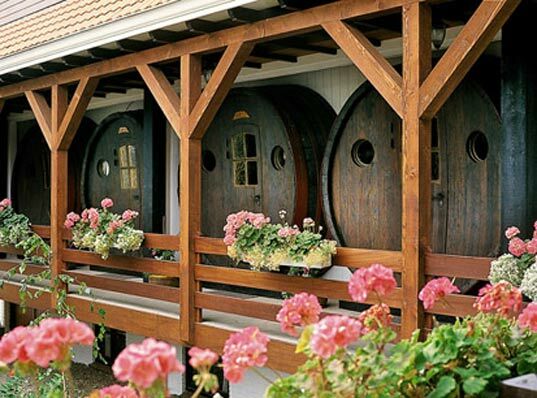 After fulfilling their duty of adding flavor, color, and tannin to thousands of bottles of wine, the barrels were mounted on trucks and shuttled over to Stavoren. The old oak casks make excellent rooms considering their strength and airtight seals, and also offer a great opportunity to brag to your friends. General rates for a cask room are from 74-119 Euros a night with discounts of up to 75% off depending on season. 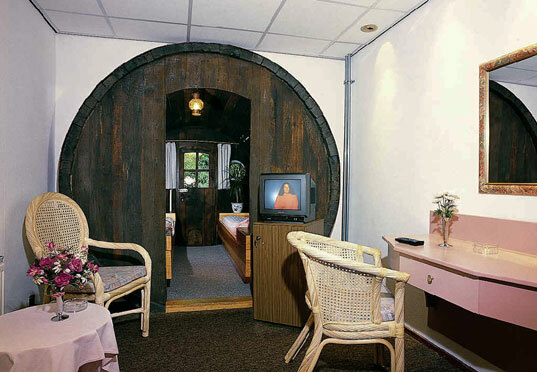 If you go in the wintertime, a wine cask room can be as low as 18 Euros a night, cheaper than most hostels. Breakfast is included and you can even bring your dog.